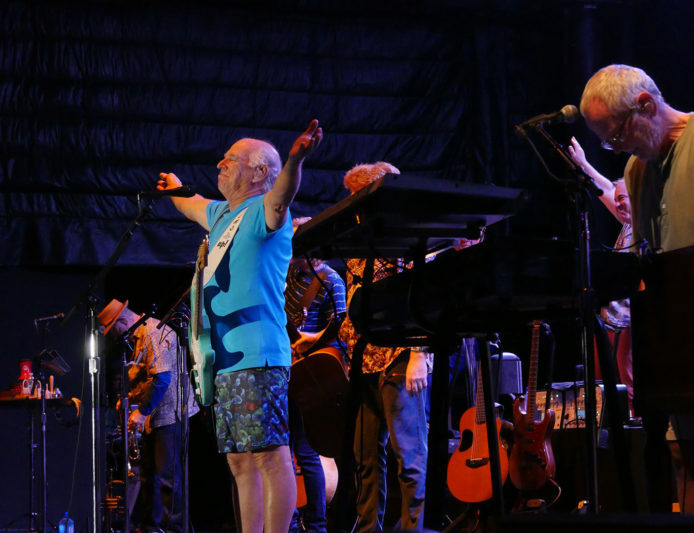 Jimmy and the Coral Reefers performed for an intimate crowd at Humphreys by the bay in San Diego on Tuesday, October 18th, for the first time since 1984! The San Diego Union-Tribune pointed out that it was the longest span between performances by any artist in the venue’s 35-year history. The other record Buffett set Tuesday, although impossible to precisely quantify, was the number of “boat people” who listened and watched for free from the marina at the right of the Humphreys stage. They numbered in the hundreds and appeared to top the amount present for this June’s two Bob Dylan concerts at Humphreys and Stevie Wonder’s 2007 show there. On Tuesday, they stretched back the equivalent of several blocks, with fans in vessels that ranged from canoes and kayaks to schooners and yachts. Check out the rest of the article at SanDiegoUnionTribune.com, including photos from the show!